Northern Virginia’s horse and hill country has joined the global craft beer craze, and local breweries are fast becoming alternatives (or threats) to wine tourism in the region. 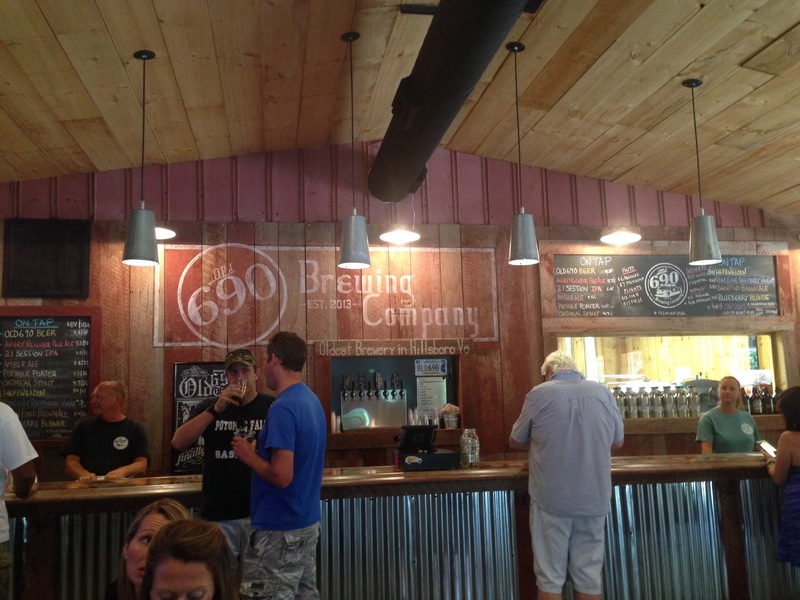 Today, peek inside Loudoun County, Virginia’s intriguing and growing craft brewing industry. Sharing a meal is a great way to share or experience one’s culture – whether local, regional, or national. Breaking bread and booze together has been a hallmark of diplomacy for decades, centuries, even millenia. Wine may remain the most accepted form of alcoholic cultural currency, but beer’s status has skyrocketed from working-class, low-brow, and mass-produced beverage to a savored experience for those in the know. The beer industry is much more fragmented – and much more representative of society and local/regional culture than perhaps any other beverage. Sure, national brands have grown in popularity globally, thanks to large conglomerates and their distribution networks, like InBev. Through wide distribution, brands export both national pride and shame – from Guinness (Ireland) to Paulaner (Germany), Stella Artois (Belgium) to Heineken (The Netherlands), Singa (Thailand), Kingfisher (India), Sapporo (Japan), to Coors and Budweiser (USA) and Corona (Mexico). Yet the relative ease and low cost of home brewing is not unrelated to the surge in the craft and microbrew industries on a lower scale, taking us from globally consolidated modernism to local, boutique-style post-modernism and endless choices. (And they said my graduate-level Media and Pop Culture class was useless! I bring it back,13 years later). Ok, sorry about that! Enough context and industry analysis. You opened this post to experience the beer. And beer you shall get. When friends visiting Washington, D.C. from South America requested a brewery tour, I was caught off-guard. Full disclaimer: I am not much of a beer drinker. If you’ve perused the blog, you probably figured out (so tough, I know) that I gravitate towards wine. But I was eager to make the request become a great experience for all of us. 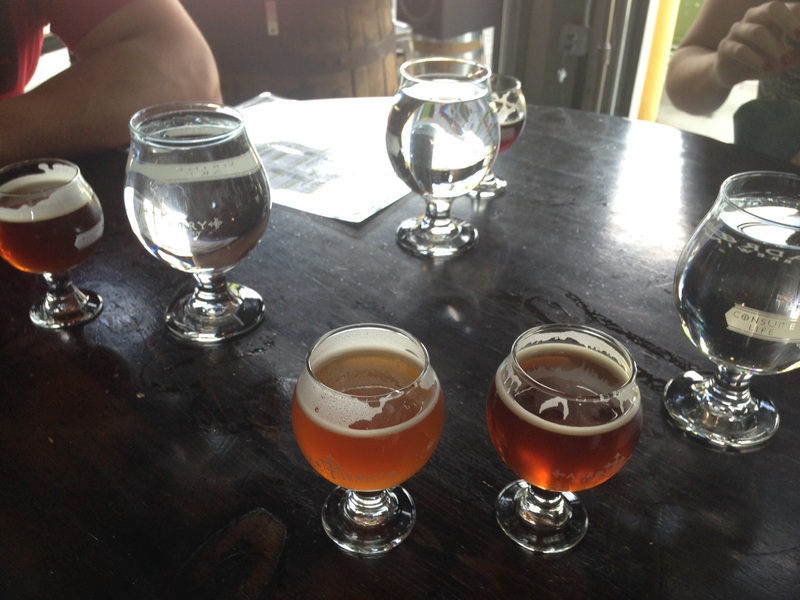 Armed with the knowledge that Virginia has fully jumped on the brewery bandwagon and thanks to several recommendations, I decided to show my friends the lovely landscape of western Loudoun County, the quaint town of Purcelville, and three of its recommended breweries. Being our first Virginia brewery tour, none of us were disappointed. 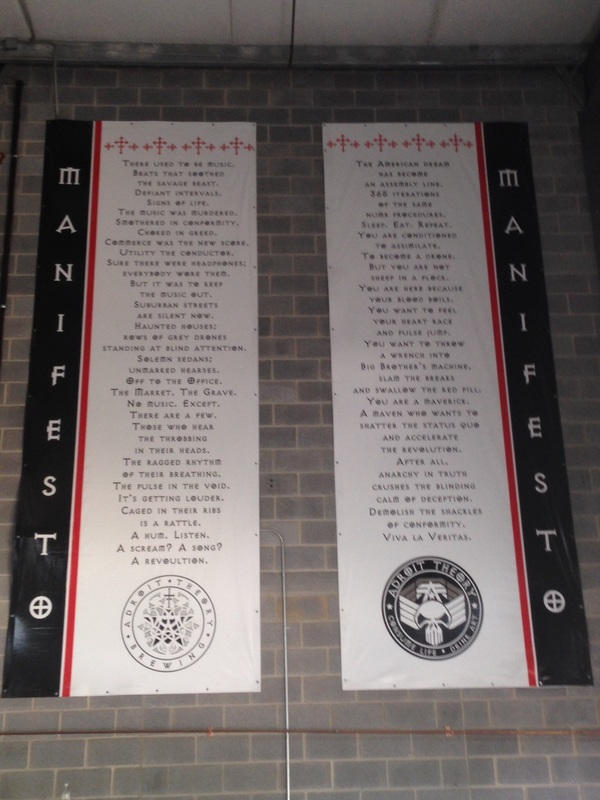 Throughout their tasting room, website, and manifesto, the brewery’s edgy intensity is evident immediately. Electronically displayed menus on screens and gothic touches, like the lettering of its signage and logo, and industrial atmosphere of its warehouse home evoke exclusivity and reverence for beer. Irreverent, creative names are commonplace, including one so explicit (yet amusingly clever and apt), I won’t name it. From a rich porter with rhubarb notes to bitterness of a hop-heavy IPA offset by the tropical sweetness of mango, its complex beers command attention. This brewery is not soon forgotten. I visited the Corcoran family’s winery and new cidery in its tranquil farm setting about a year ago. Having received an enthusiastic endorsement of the brewery, I was a bit underwhelmed by the relatively humble appearance of the brewery’s tasting room, which is tucked away in the rear of the bottom level of an out-of-place office building. 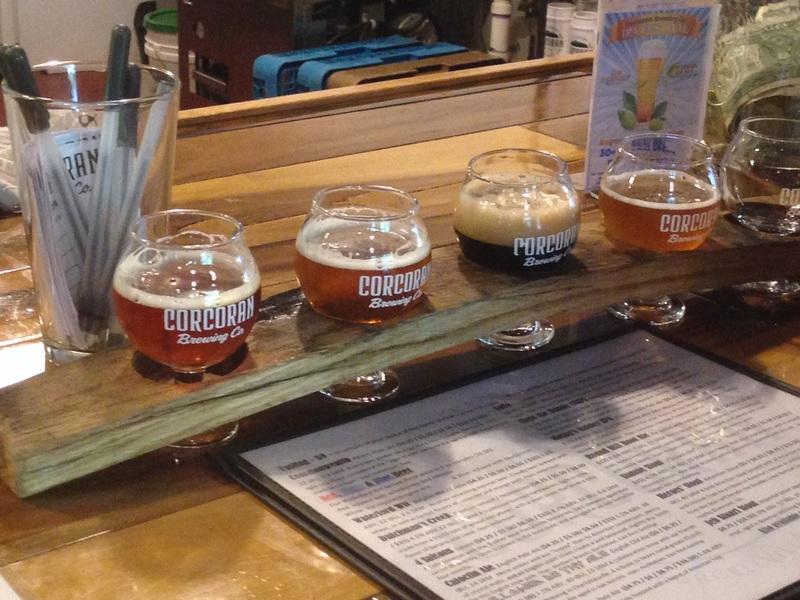 What Corcoran lacks in atmosphere, it makes up with its broad selection of beers on tap. Corcoran dabbles in various international styles, including a few variations of my favorite, weisens (wheat beers), with less emphasis on fruit-forward or trendy flavor profiles. My friends’ favorite was LoCo, a bold American IPA named for the #hashtag worthy @handle for its home in Loudoun County. Hops the Bunny, another IPA named for a notorious wild rabbit that called Corcoran its home, also earned strong reviews from my friends.